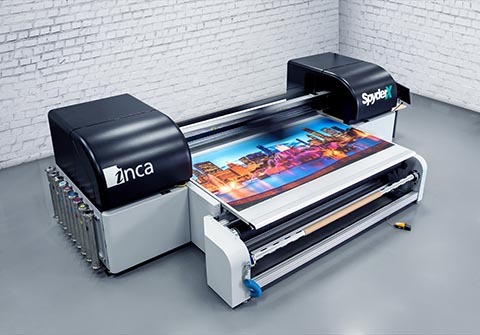 Hanover Park, Ill. – Color Ink, a family-owned commercial printer established in 1984, is experiencing new business growth with the SpyderX, a versatile production-class UV digital inkjet press for sheetfed and roll-fed substrates. With more than 30 years of trade experience under their belt, Color Ink's business model has evolved far beyond commercial print. Over the years the company began to realize that in order to provide their nationwide and local customer base with the tools they need to enhance their brand, the company had to offer turn-key print and marketing solutions. From design to production to distribution, its staff of industry professionals has the vision and expertise to maximize client’s advertising dollar. For more information about Color Ink, please visit: www.ColorInk.com.